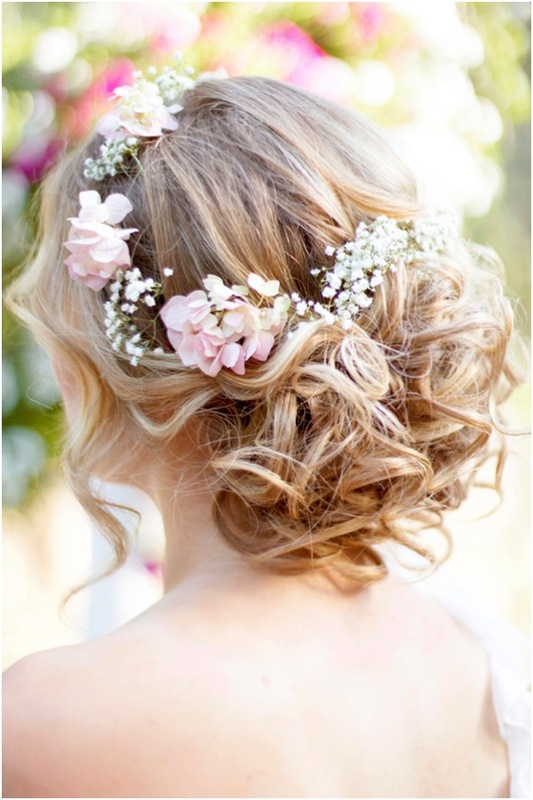 If you’re interested in embracing your inner flower child, then get creative with a bohemian wedding hairstyle that will add a feminine charm to your style. 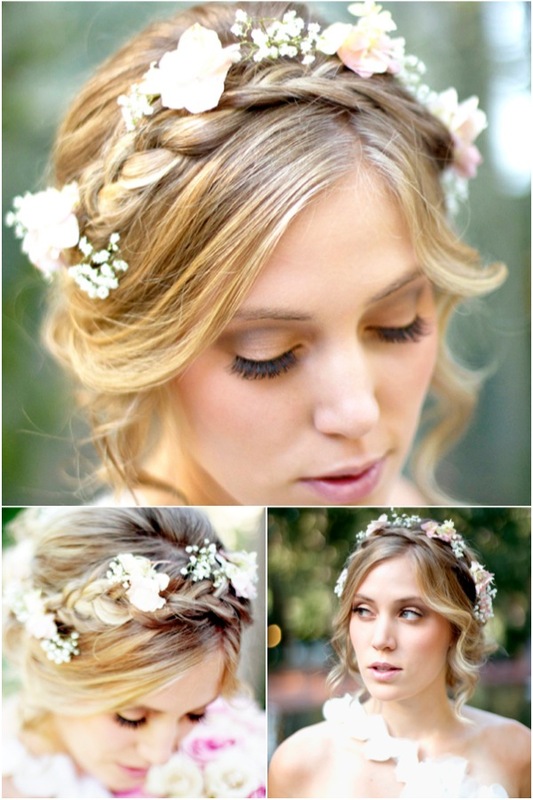 Soft curls, baby’s breath, and a loose braid are all you need to achieve this gorgeous look. Would you sport this style? To get this look, start with a large braid across your crown, and end with a curly low-pinned style adorned with romantic florals.